Dearly beloved, Prince is writing a memoir. Last night, at Avenue, the club on Tenth Avenue, in the Meatpacking District, he announced the news to a group of admirers who’d been alerted that afternoon. Before he arrived, editors, journalists, and friends of Prince danced to Q-Tip and Diana Ross under orange lights and a mirrored disco ball, and waitresses in stretchy, zippered minidresses carried trays of champagne flutes. Gayle King showed up, then Trevor Noah, of “The Daily Show.” Noah told me that his favorite Prince song was “Purple Rain.” In his youth in South Africa, he said, he’d discovered Prince after becoming a fan of Michael Jackson. “Prince is our generation’s classical music,” he said. “Billie Jean” began playing. People screamed. Prince appeared on a glass-lined balcony, descending a staircase and standing a few feet above us like a pastor or a king. He had a roundish cloud of hair and wore a gleaming gold-and-purple striped pajama suit. “The good people of Random House have made me an offer I can’t refuse!” he said. He was writing a book, he told us. “It’s going to be called ‘The Beautiful Ones.’ ” We cheered. “I literally just got off the plane. I’m going to go home and change and put some dancing clothes on. Props to my brother Harry Belafonte.” People looked around. Prince put large, insectile sunglasses on. “Now I can see,” he said. Spiegel & Grau, the Random House imprint, is scheduled to publish “The Beautiful Ones” in fall 2017. “You all still read books, right?” Prince asked. “My brother Dan”—Dan Piepenbring of the Paris Review—“is helping with it. He’s a good critic. That’s what I need. 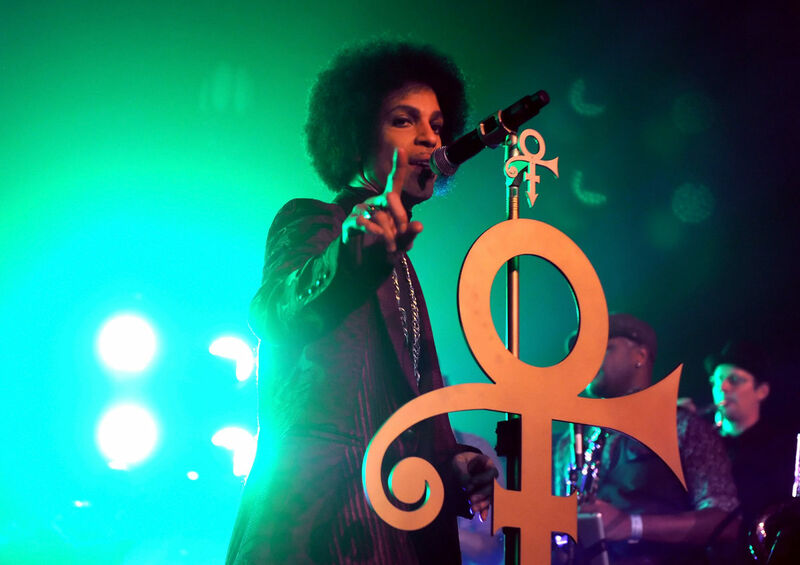 Not a yes man.” Prince said that the book would begin with his first memory and go “all the way to the Super Bowl.” He played the Super Bowl in 2007, in a torrential storm, singing “Let’s Go Crazy,” “Baby I’m a Star,” and “Purple Rain” on an enormous illuminated Love Symbol, accompanied by dancers, fireworks, a glowing marching band, and a stadium full of backup singers. Like everything Prince does, it felt strangely mythic.